Casa Monia F: A welcoming cottage surrounded by the greenery, with Free WI-FI. Property 42: Casa Monia F: A welcoming cottage surrounded by the greenery, with Free WI-FI. 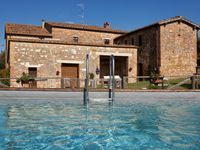 Casa Monia B: A characteristic and welcoming apartment with the strong charachter which derives from it actually being a restored old mill, with Free WI-FI. 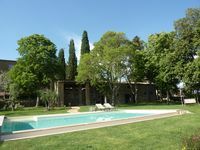 Property 49: Casa Monia B: A characteristic and welcoming apartment with the strong charachter which derives from it actually being a restored old mill, with Free WI-FI. We have stayed in many vacation rentals and have also owned and managed multiple homes ourselves. We truly enjoyed this home very much. It was very well equipped, and clean. The property is very private with large yard and stunning view. We would love to come back. Graziella, thanks for sharing your house, we loved our stay .